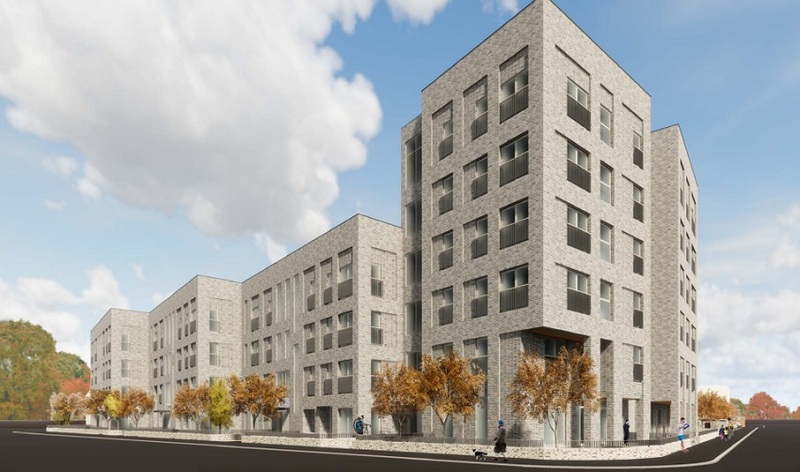 PLANNING permission has been given for 52 flats and townhouses to be built on a site in Glasgow’s East End. West of Scotland Housing Association is to develop land bounded By Fielden Place, Fielden Street and Barrowfield Street. The development is the final phase of a 15-year programme of regeneration in the Barrowfield/Camlachie area. The ground has been largely unoccupied for at least 35 years having previously been the site of clothing and weaving factories. There will be 39 flats, one maisonette and 12 houses, ranging in size from one to five bedrooms, with five units designed for wheelchair users. The development also includes 51 car parking places, open space, informal play provision and soft landscaping. Anderson Bell Christie Architects designed the development which will comprise a single block of flats facing Fielden Street with two smaller blocks of three-storey terraced townhouses facing the streets which form the northern and southern boundaries. The block of flats has four separate closes, three of which are four storeys with the southernmost close being six storeys, acting as a landmark signifying the gateway into the Barrowfield/Camlachie community.